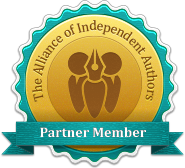 DartFrog Indie recognizes excellent books produced by small publishers. Selected books are guaranteed the same front facing placement in independent bookstores as all of our selected titles and are eligible to be considered for one of three spots per month in our direct promotion to 3500 book clubs. Small traditional-style independent publishers, hybrid publishers, and independent bookstores with their own publishing labels are eligible to apply for DartFrog Indie Status. DartFrog Indie is not for self-publishers.